SOLD Classical piano was the soundtrack of my childhood. My sister’s and I all took a turn with lesson but only one of my sisters really had the interest and gift. She practiced and played for years and years and went on to pursue music in college. 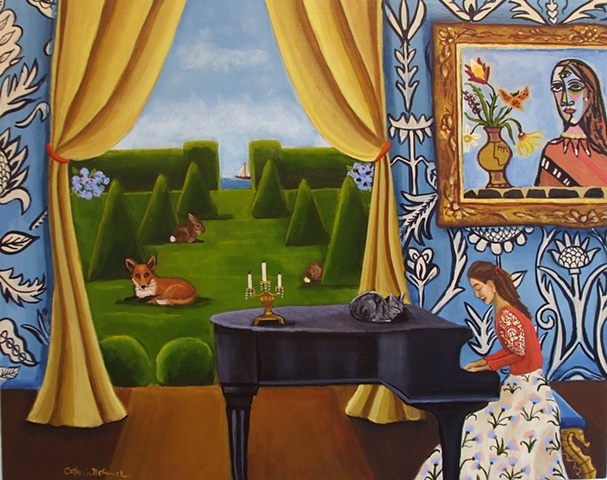 I love to include pianos in my paintings. This piece is painted with acrylics on birch wood cradled panel. The sides are painted and it's wired and ready to hang. Thanks for looking.